And the best part is that anyone can now benefit of Aurélien’s work! How about that? Download the program and tell us what you think about it on our forum. Behind each project there is always a story. It all started with our intern in development, Aurélien. Aurélien was deep into regression testing of the barcode recognition part of our GdPicture.NET Document Imaging SDK (and some of you know how boring this task can be). 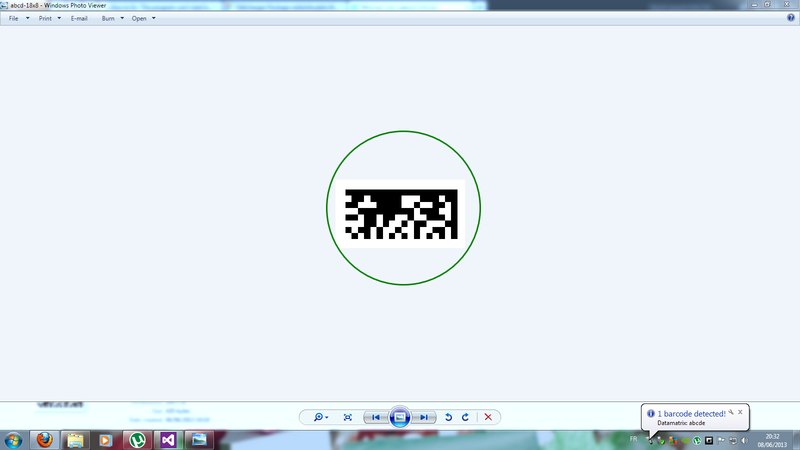 Tired of scanning barcodes with his cellphone and then sending them on the computer, he thought that having a barcode reader directly on the screen would make things a little easier. Since all virtual barcode readers available on the Internet require the use of software sometimes with a complicated interface, why not building our own virtual scanning tool? Aurélien Bertron is working with the development team for his internship at the IUT de Blagnac.